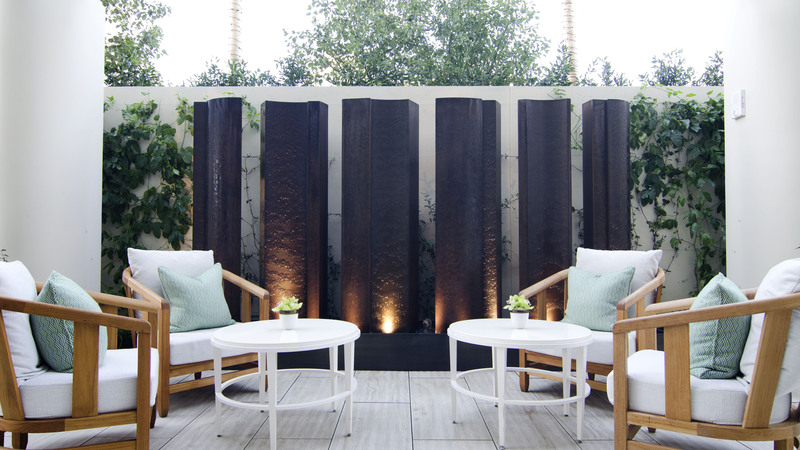 Our water features designed for hotels, restaurants and public areas compliment their environment by bringing moving water to static indoor and outdoor spaces. 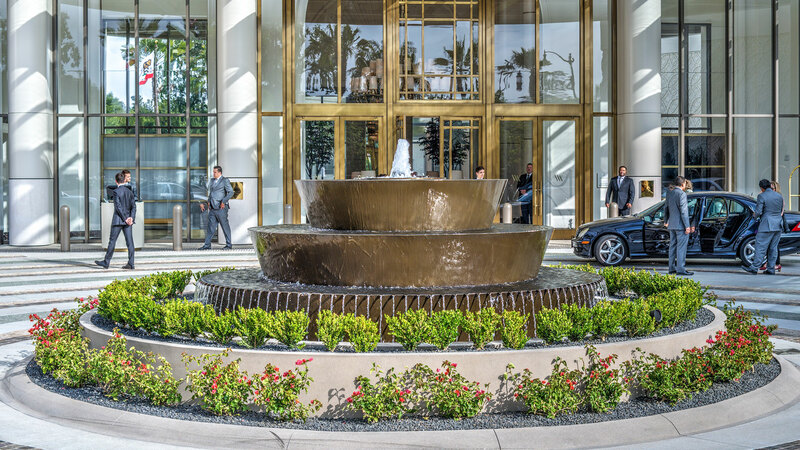 Each water feature creates a luxurious and relaxing atmosphere, by engaging the viewer with mesmerizing water effects, enchanting underwater lighting, and tranquil sounds of flowing water. We have extensive experience working alongside architects, designers, and general contractors to design and build impressive water and fire features for a variety of public spaces. Our notable hospitality clients include Waldorf Astoria, Four Seasons, St. Regis, Ritz Carlton, and W Hotels.